Some of you might know that Alice’s Adventures in Wonderland is my favourite book so I was pretty excited to be able to review this cute new edition celebrating the 150th Anniversary of Alice’s story. 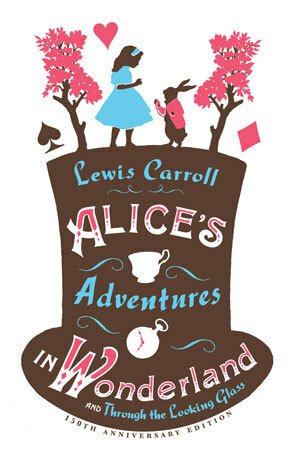 This edition includes Through The Looking Glass, Lewis Carroll’s letters to his younger readers and the original draft of Alice’s Adventures Underground with the original illustrations drawn by Lewis Carroll himself. The draft of Alice’s Adventures Underground is all handwritten, which I couldn’t read, but it’s still a nice touch that helps to differentiate this edition from the myriad other editions already in circulation. Everyone knows the story of Alice following the White Rabbit and discovering Wonderland and as someone who read and reread this story over and over again throughout my childhood I cannot emphasize how much I feel that this book should have a place on the bookshelves of women everywhere. 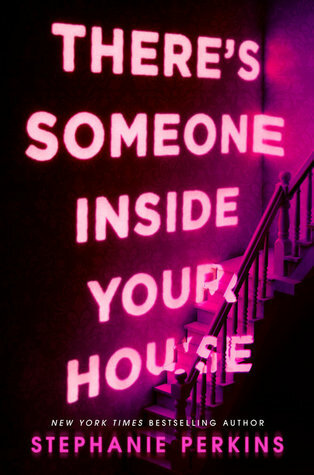 Alice’s story is purposely weird but it is an immensely subversive story which will have new meaning upon every reread. There are all sorts of interpretations – Alice as the Biblical Eve, Alice as a feminist story and protagonist; Alice’s journey through Wonderland isn’t just a vivid dream but a commentary on the absurdity of Victorian culture through the eyes of a little girl – remember the Duchess with her morals that make no sense and the King and Queen who preside over nonsensical games, execute people for the smallest infractions and in the final scene, act as judges over a trial that Alice ultimately topples as she shrugs off the strangeness of the rules in Wonderland. The rules don’t make sense in Wonderland because the story is satirizing the Victorian way of life. Like many of my favourite stories, Alice’s is a story about a girl finding her identity – remember the Caterpillar asking her who she is, the Cheshire Cat assuring her that as long as she doesn’t know who she is it does not much matter where she goes, the Pigeon accusing Alice of being a Serpent and Alice consequently pushing back against that label…it isn’t just that Alice is trying to find out who she is as a person but it is also very much about Alice refusing to acknowledge or accept the Victorian image of femaleness. This is the kind of story that can be discussed endlessly because the story is timeless. I love Alice and I love that her story exists in so many different versions, editions and languages. This particular edition is both pretty and inexpensive and I really like it. I do advise that if you aren’t just reading for the story and maybe want more explanation or context, an academic edition such as the Norton Critical Editions of this book would be a better option. this book edition sounds awesome. I just read Alice in Wonderland for the first time this year and loved it. I have never read Through the Looking Glass though.